case study Revenue Model How Does Amazon Make Money?. Amazon Business Models. How Does Amazon Make Money?. Amazon Business Models. 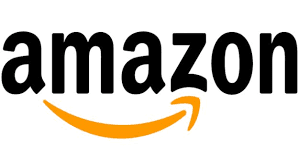 Hi Friends, Today we will talk to How does Amazon Make Money? and Amazon Business Model. Amazon was started by Jeff Bezos as a digital bookstore. Since then Amazon has never looked back and seen. And now Amazon world's biggest online retailer. Nowadays then Amazon is everywhere. Money makes money from Amazon Books too. There are lots of Amazon Books services like Audible, Goodreads, Abebooks, Amazon Books, Comixology, Book Depository, Amazon Publishing, and Amazon Kindle, other services (like LibraryThing, Omnivoracious, Bookfinder, etc). The Internet Movie Database is the world's most popular source for movie, TV and celebrity content. IMDB earns money from advertisements, subscriptions. Amazon bought IMDB in 1998. Twitch.tv is for a social video platform and creative arts. This is a popular video game website. These are just like youtube. Twitch.tv earns money from advertisements and paid memberships. Amazon Echo is a smart speaker, which can do a lot. Amazon is just like the Apple's Siri and Microsoft's Cortana. Amazon Music is an online music store. Amazon Music works just like Spotify. They earn money from subscriptions. Amazon Video is an internet video-on-demand service. Or also earns money from subscription. Amazon has Amazon game studios, game developers. Amazon Web Services is also known as cloud computing. Kindle Fire: - Kindle Fire is a tablet computer. Fire Phone: - Fire Phone is a smartphone from Amazon. Amazon Fire OS: -Amazon Fire OS is an Android-based mobile OS. Amazon Prime earns money from their subscriptions. Price $ 99 per year or $ 10.99 dollars per month. Amazon has the total of 1263 patients. And Amazon earns good money from all of these. Alexa.com - is an analytics product. Curse Inc. - There are a Game Tools. Diapers.com - This is an online store of baby products. Dpreview.com - This is a digital photography site. Amazon Appstore - are the Appstore for Android. Zappos.com - E-commerce market for footwear.